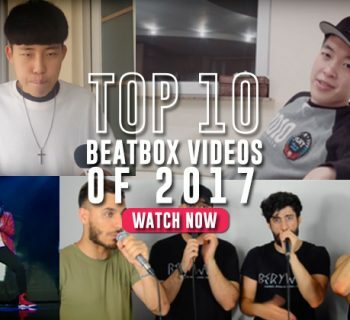 This year, we blew past milestones and evolved with the online beatbox community. We're just getting started. What's up y'all -- Nate here, the product and numbers dude at HBB. When I'm not off the grid in Japan (whoops sorry Jon and Kazu), I'm making tweaks to this website and looking at graphs. 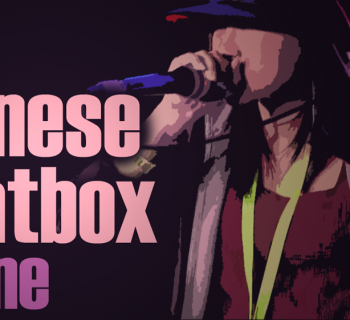 To celebrate the 2016 successes of HUMAN BEATBOX and the community as a whole, I'm emerging from my cave to let you know our plans for the new year. 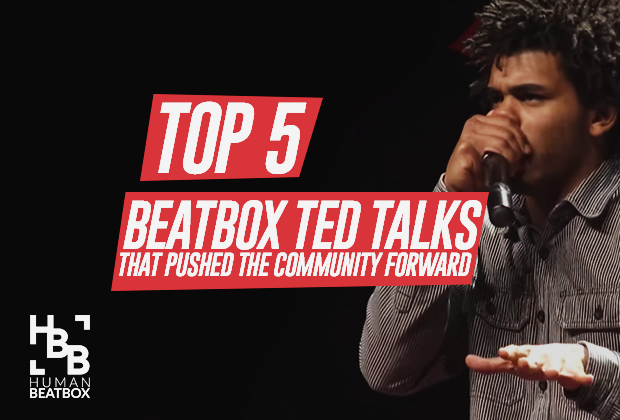 We grew ~476% in viewership from late April, when the We Talk Beatbox team first adopted HUMAN BEATBOX from Tyte. We see beatboxers from all over the world -- no single country represents more than a quarter of our traffic. We represent the next generation of beatboxers; over 61% of our audience is younger than 24, though all demographics are growing steadily. Our retention has skyrocketed -- the percentage share of return visitors has grown 910%, and we expect to outpace this in December. We've been working to give you what you want -- we win most when your voice is heard and highlighted. My partners Jon and Kazu are incredible at this! Through an ongoing slog of on-site and off-site tweaks and fixes, we've sustained SEO growth that outpaces our overall audience growth and shows no signs of stopping. The site is secure as ever. Jon and Kazu have ignited the conversation on social -- in half a year, we've doubled our Facebook audience and have launched other healthy socials like our Instagram and SoundCloud. We plan to give a merch platform to the best projects from the best artists in the community. Expect to see beautiful designs and crazy products throughout the new year! If you'd like to submit a design, get in touch. We are playing around with and testing new formats all the time. This year, we've been maintained a constant font of video lists that shout out the community. We also were the first to do Facebook Live takeovers. 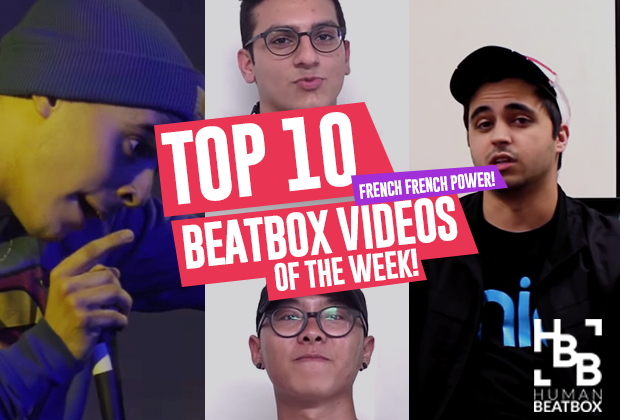 We can't wait to take beatbox to places it has never been before. We're carefully vetting partners and sponsors that the community respects and appreciates. If you'd like to work with us in the coming year, again, please contact us! We got dat shiny 2017 media kit. 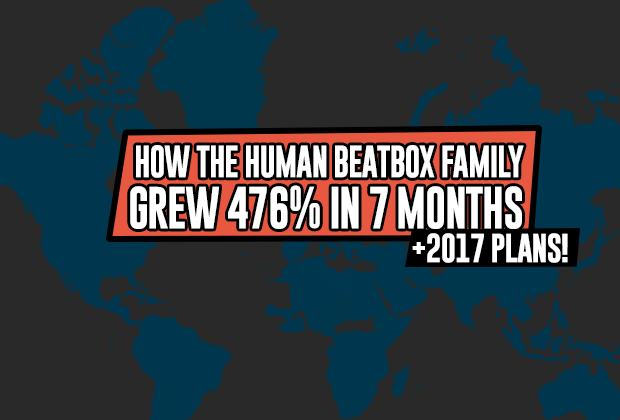 I've been humbled to work on HBB as an adoptee into the beatbox community, and I can't wait for what comes next in 2017.